Retired Newfield teacher Edward Wendol donated issues of the Newfield student newspaper The Quadrangle from 1970-76 to the library, in order for the issues to be scanned and made available online to the public as part of the library’s online local history archive, which also includes historic photos and documents relating to the Middle Country area. The archive can be viewed online by visiting www.mcplibrary.org/adults/local-history. 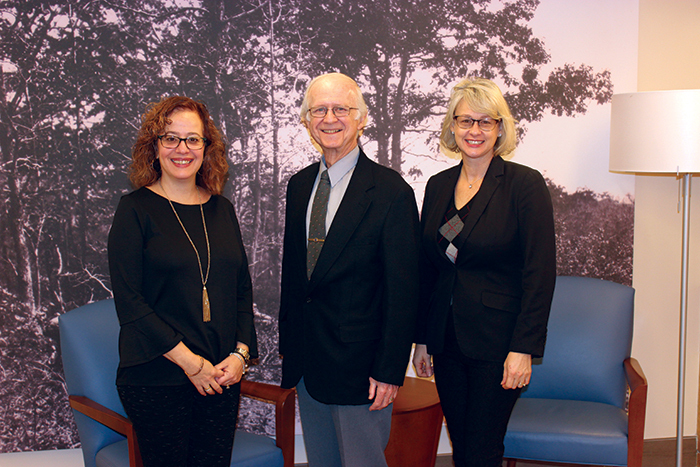 Pictured l-r: Sophia Serlis-McPhillips, library director; Edward Wendol, retired Newfield H.S. teacher and Comsewogue library trustee; Debra Engelhardt, Comsewogue library director.